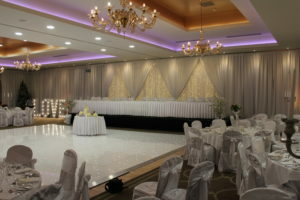 LED dance floor or twinkle dance floor is an illuminated dance floor that will have your guests talking about it from the moment that they step into your room. 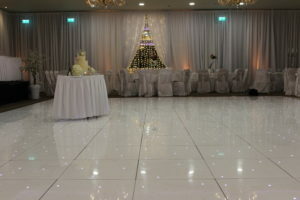 They have also been called fairy light dance floors or sparkle dance floors. One of the great things about having an LED Dance Floor is that it clearly defines the area for dancing thus encouraging people out onto the floor to dance. A stunning white LED Dance Floor adds a fantastic piece of wedding décor that has the WOW factor and will amaze and impress your family and friends on your special day. It will help make your wedding stand out from the rest as it gives your guests a fantastic experience which they will talk about for years to come. An LED Dance floor from Wedding Chair Covers.ie is a beautiful gloss coated highly polished surface that will sparkle & twinkle all night. With our impeccable attention to detail they will always be delivered spotless and polished. 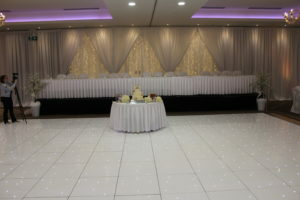 This with our incredible range of products will ensure that we can create a unique wedding room that will WOW and amaze your family and friends on your wedding day. 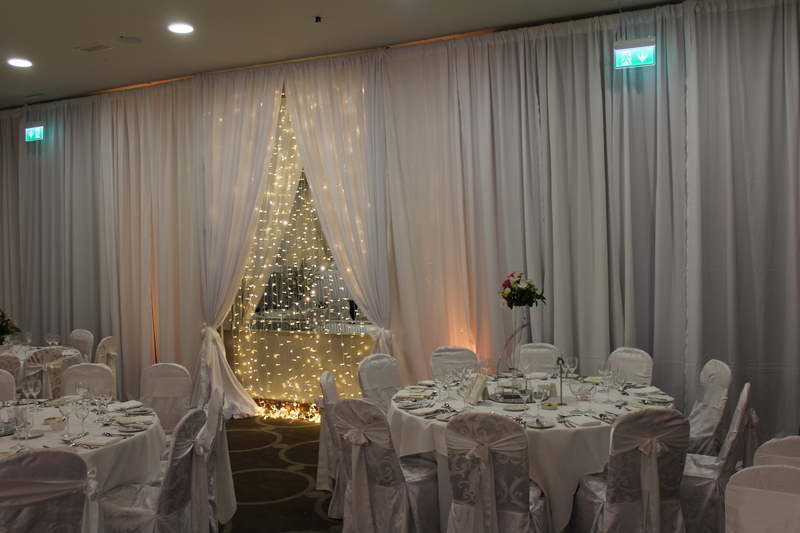 As usual we can complement this look with our chair covers, uplighters, giant light up letters, extra fairy lights and much more. 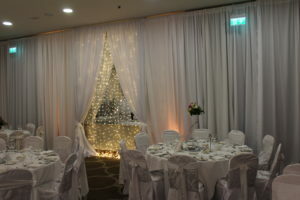 Below you can see one of our stunning fairy light backdrops and custom draping in Lough Rea Hotel.